Barbershop Stories is a live storytelling show and podcast hosted by Dawn J. Fraser and Mike Brown that features performers telling true stories to a live audience, in actual hair salons and barbershops around New York City. 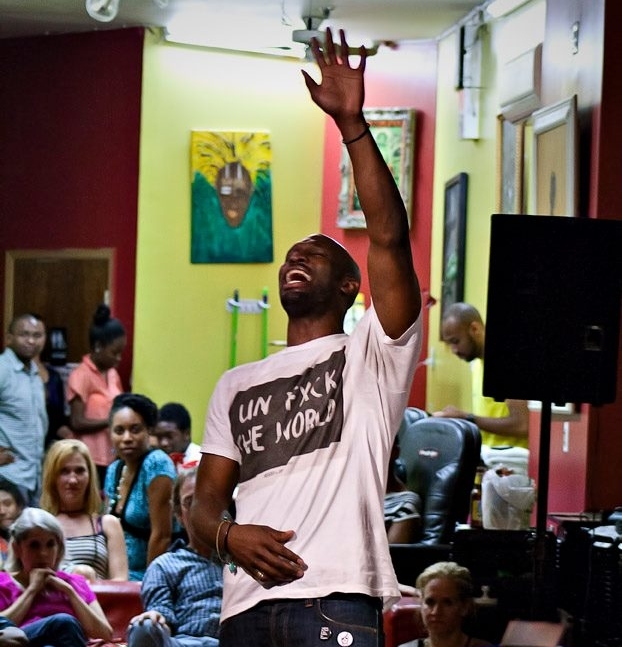 Set in the culturally and artistically diverse neighborhoods from Brooklyn to Harlem, the show showcases some of the region’s best performers including storytellers, comedians, mixed in with stylists and barbers… then we open the doors to a live audience. The show aims to explore the cultural, political and social significance of barbershops and hair salons, the power of hair narratives to build community, and explores the premise that there are few things in life that feel better than a great 'du. See what we've been up to - from special guests to live shows, and podcast interviews, there's more to us than just good looks. Want to find out more about our events? Check out our calendar here, or how you can participate!